Florals for spring may be slightly done, but colours certainly aren't. And whilst I hold my hands up and say that black certainly is my favourite colour, that doesn't mean that I can't have a little fun and totally feel myself in a pop of colour. Not just one colour either. Black to me feels a bit of a comfort blanket. It's slimming, its safe, it's fake tan proof! But I also feel super confident in a dash of red and I don't know why. As part of Debenhams Bring It On Colour campaign, I decided to go all out with the colour and go for full clashing colours and bright hues. When I saw this red suit in Debenhams I was drawn to it straight away. My love of red and a bit of matchy matchy. I love how bright it is and it's a little different for me. It's also super flattering and fits really well, which I was surprised at due to being tall and things usually being a little short on me. 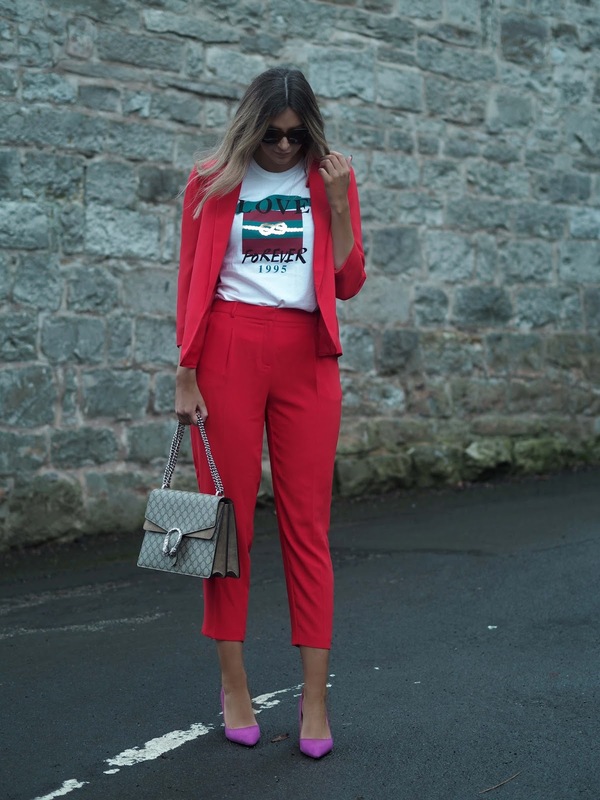 I also love the contrast of the heels, I think the fuchsia pink colour goes really well with red and I am also a sucker for a subtle clash. 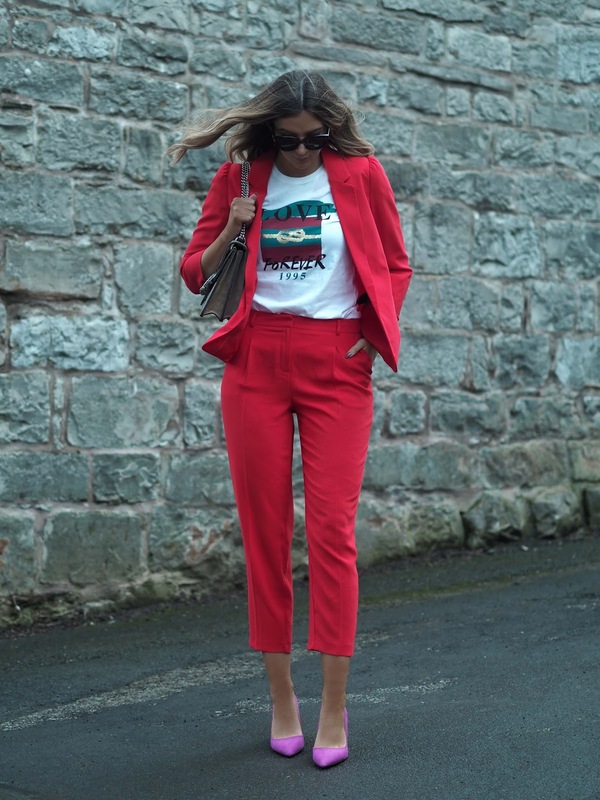 Whilst a red suit and heels may be a more dressy version of the colour trend, it doesn't have to be like that. Colours can also be casual. Another suit style but not quite. This skirt and jacket aren't quite meant to be but they sort of are, right? This leather style skirt goes perfectly with this mustard blazer and I do love a bit of yellow right now. And whilst yellow and red kind of shouldn't go, I feel like these two do. 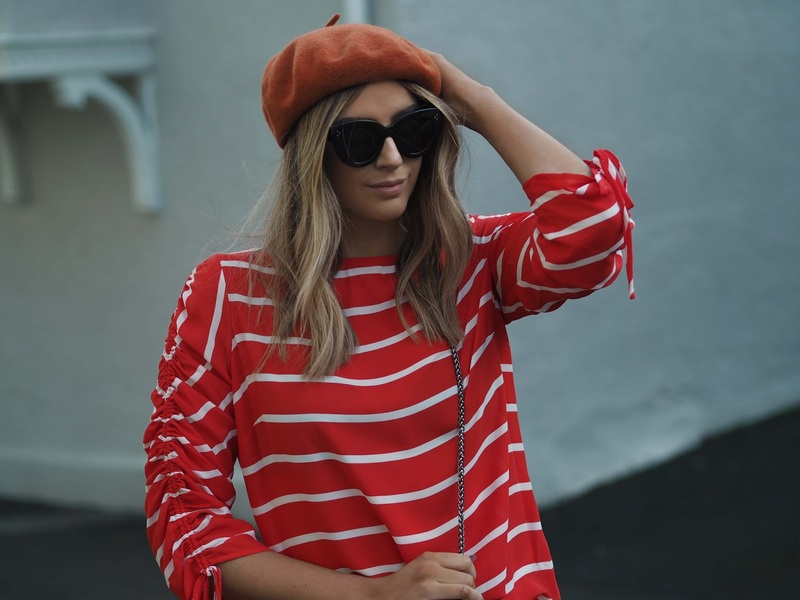 I really love this red striped top and the arm detail on it too. 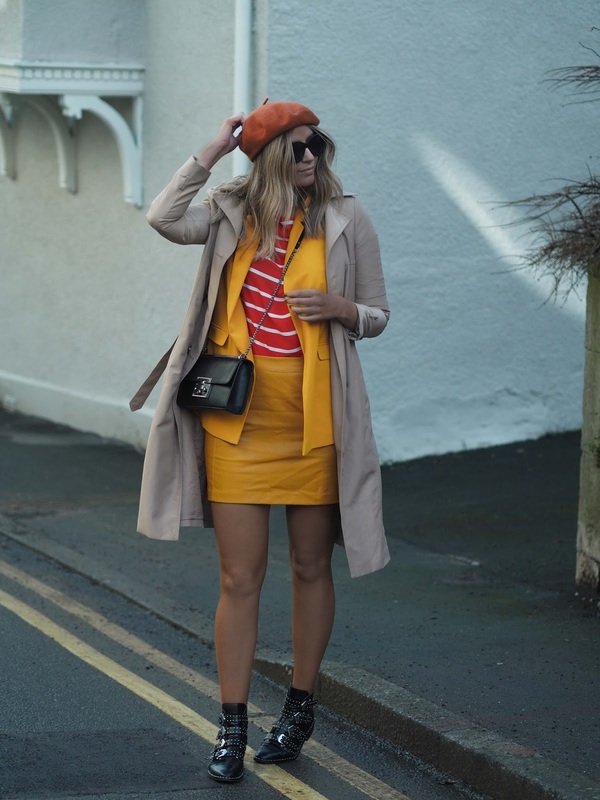 And tied in with a little orange in the form of a cute beret it all works without me looking like a 5 year old who has picked what they want to wear for the first time. You can also shop Debenhams' Bring It On Colour campaign here. 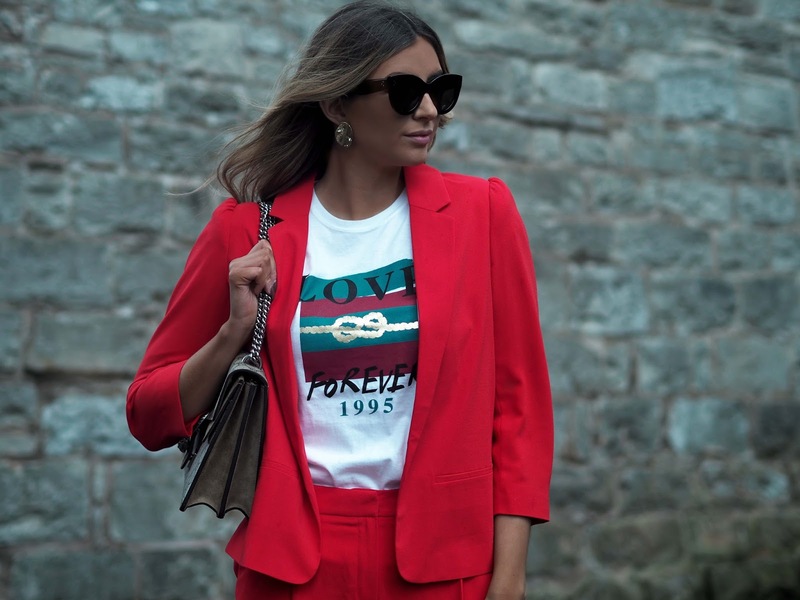 *This post was created in association with Debenhams but all words and opinions are my own.